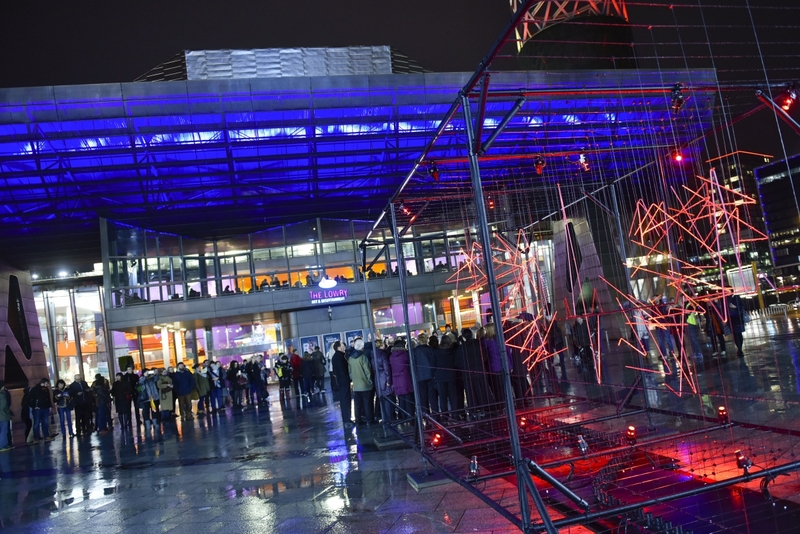 The Christmas Advent Calendar short film commission in partnership with the BBC came to all 22 of the BBC Big Screens from 1st – 24th December. 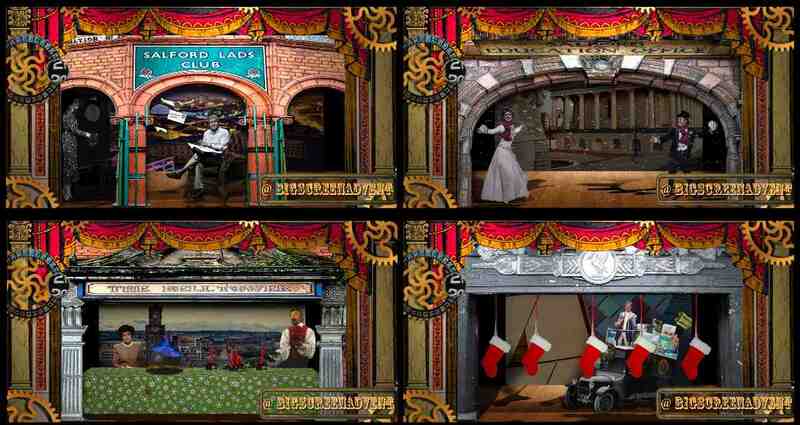 Northern-based filmmakers Rob & Matt Vale, two brothers from Ramsbottom, were commissioned by Quays Culture to work with the BBC and local archives to create 24 individual animations that play on the Advent Calendar theme. 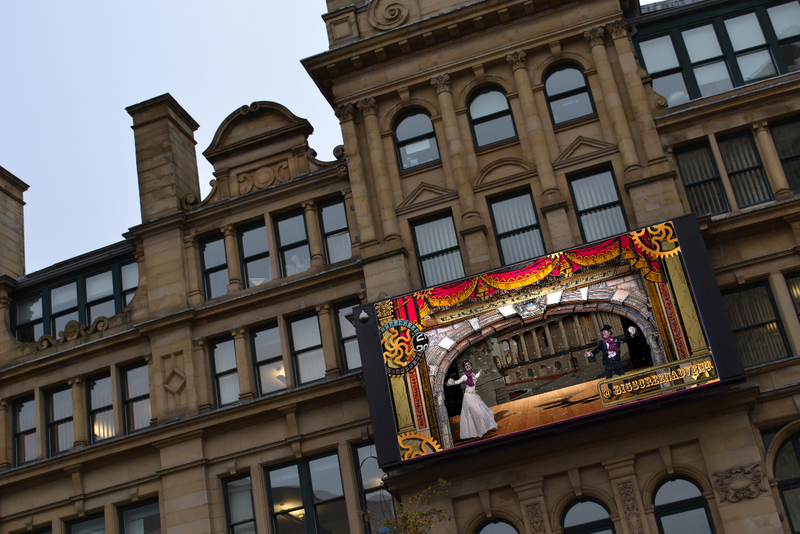 They used a Victorian pop-up theatre aesthetic images of local iconic sites and BBC celebrities to create a fun array of short films, one per day from 1st-24th December, that showed hourly on all 22 of the UKs BBC Big Screens. 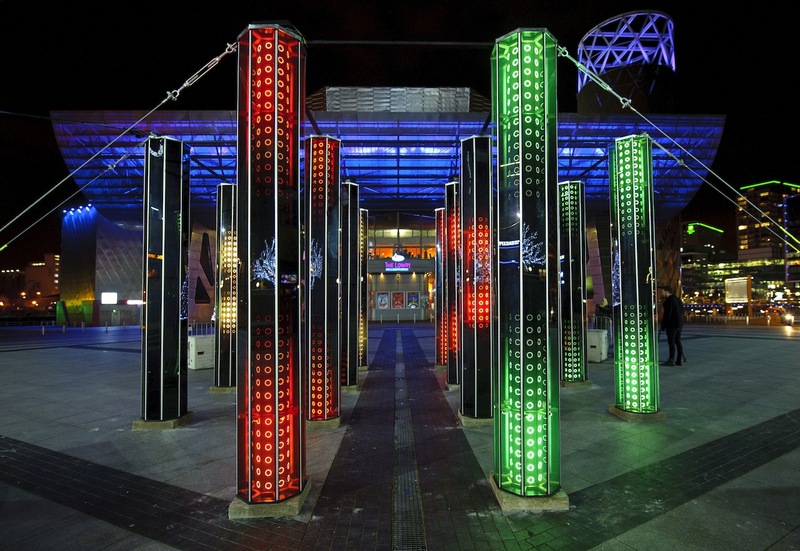 Rob and Matt have worked on many public art digital projects across the UK and Europe, and this playful combination of technology and history was witnessed by four million people over the course of its run.